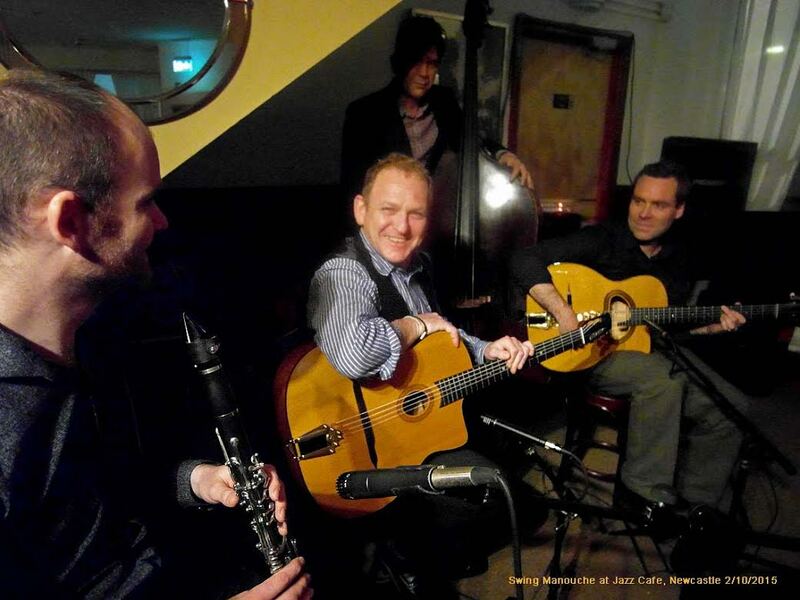 Mick Shoulder, cornerstone of Hot Club specialists par excellence Djangologie, recently added another string to his contrabasse with the formation of Swing Manouche. 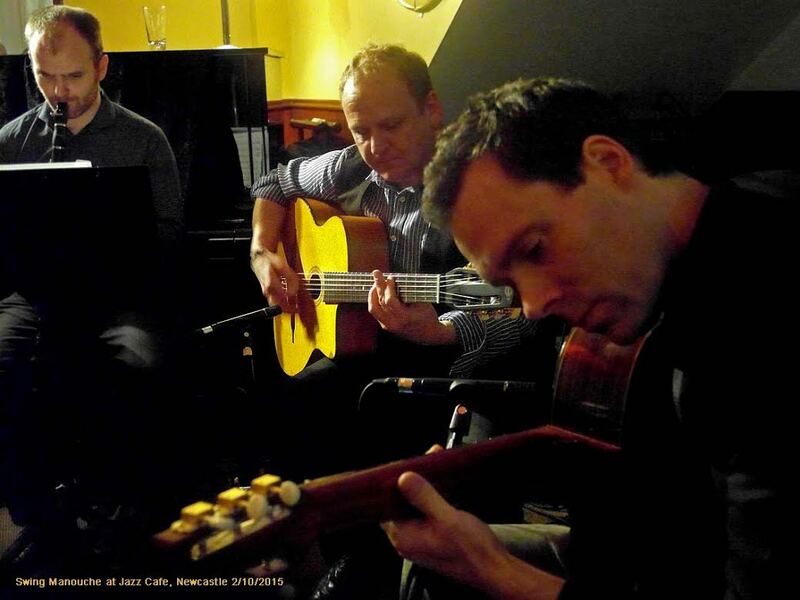 The Jazz Café witnessed an unexpected twist as Shoulder swapped four strings for six and joined a fellow Djangologist – Giles Strong (guitare rythmique) – as the seated guitar demons. On double bass was none other than Neil Harland and in a further, wholly unexpected, twist, pianist Paul Edis wielded the clarinet! A week ago at the Tyneside Irish Centre, Django’s great nephew, Lulo Reinhardt, gave a concert of his own, keeping the flame alive. He would have been a welcome guest at the Jazz Café this evening – he could have sat in. Mind you, he would have had his work cut out keeping up with this lot. Coquette, Douce Ambiance, familiar material both, then the first of two or three Shoulder compositions (a musette), inspired by Giles Strong’s rather big, if not fearsome pet dog. What Lulo would have made of that one is anyone’s guess. He would have been right at home with two Lulo Reinhardt numbers. Not his own, rather those of his father, Lulo Senior. The second of the tunes went at such a lick Lulo Junior may have decided to sit it out! There is nothing better than Strong setting a tempo, then seeing who can maintain the punishing pace. For the record, Shoulder, Edis and Harland hung in there. Thrilling stuff! Paul Edis (clarinet), was taken out of his comfort zone. No easy-peasey piano playing for Dr Edis tonight. This was swing time Hot Club de Pink Lane. 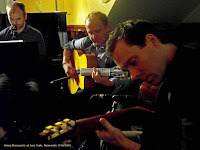 Bassist Neil Harland didn’t baulk at Strong’s rythmique brilliance, Shoulder demonstrated real talent as a six stringer and Edis appeared to relish being at the mercy of the front row critics. Minor Swing went well, Swing Manouche did well. More gigs are in the book. Trés bon!